Successfully Added Rofvape DAC RDA - Double Airflow Control Rebuildable Dripping Atomizer, 2 Coils, Fiber Freaks Cotton (Silver) to your Shopping Cart. Rofvape DAC-RDA is a fantastic rebuildable dripping atomizer (RDA), also known as a rebuildable dripping tank atomizer (RDTA), that combines a dual airflow control that allows perfect precision for refining the vapor quantity and taste. For the uninitiated, a Rebuildable Dripping Atomizer has no tank as such to hold the e-liquid, which instead is dripped onto the wick, hence why this is called a dripper or vape by dripping system. The special feature on this DAC-RDA from Rofvape is its unique design allowing for a lower and upper air flow system. These can be controlled independently by twisting the body or the ring above it. Having a double airflow regulator lets you directly adjust the amount of vapor produced from this atomizer and will greatly influence the taste. This DAC-RDA can be used with all kinds of prebuilt coils and even DIY coils such as Ailen Claptop coils, Fused Claptop coils, Flat Twisted coils, and Tiger coils to mention but a few. To get you started these atomizers come with 2 pre-built coils as well as two fiber freak cotton pads from France which make the perfect wicks and render flavors without an extraneous taste so you get a delightful vaping experience. A 510 thread on this atomizer makes it suitable for many vapes and mods so it is the perfect additions any connoisseur vaping kit. 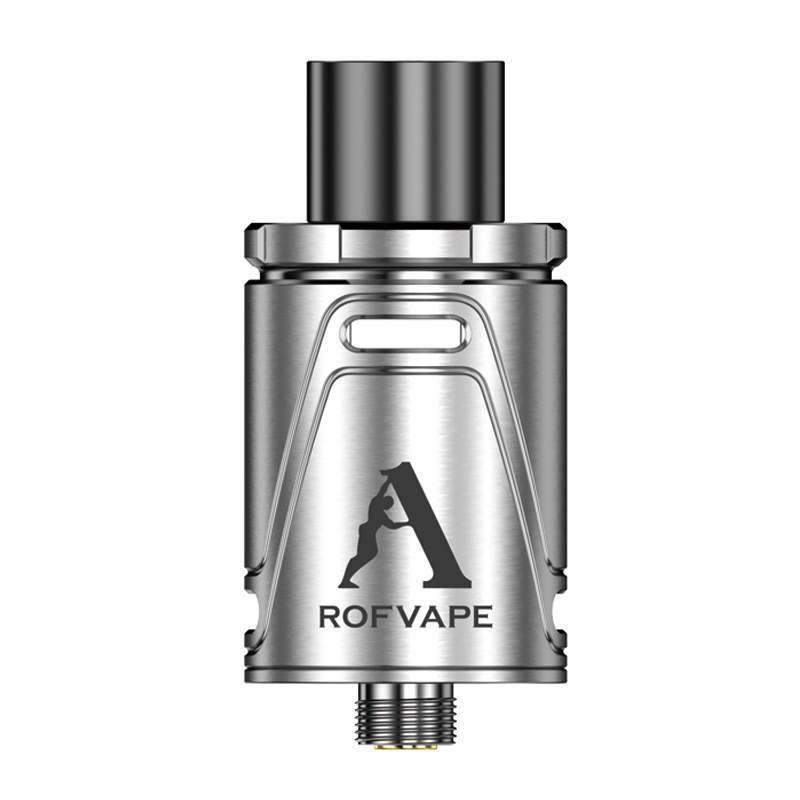 The Rofvape DAC-RDA comes with 12 months warranty, brought to you by the leader in electronic cigarettes as well as wholesale vaporizers and accessories..